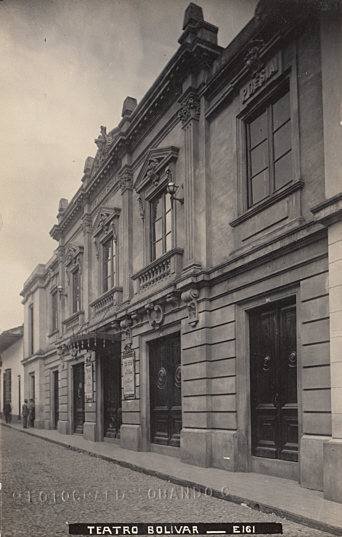 Built 1917-1919 on the former site of the "Teatro Principal" (also known as "Teatro Coliseo", built 1836, demolished in 1917). Named in honour of the Venezuelan military and politician, Simón Bolívar (1783-1830). 1200 seats. Used for drama, opera and zarzuela performances. Also used as a cinema. Demolished in December 1954.